Russia's been slowly building up a cache of big, beautiful sci-fi films that don't always work as well as they look. But boy are they putting in the effort. 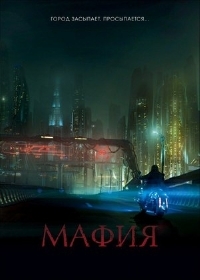 Mafia (Mafiya) comes from director Saric Andreassian and it looks like a cyberpunky version of The Hunger Games... or something. Looks like there's a holo-deck type gaming area and... sharks? This is all we know, people! Mafia sees release in January 2016.